This is the standard, single-user version. 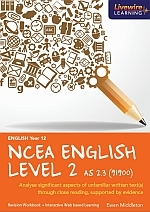 English Years 7 - 8 is suitable for students in the first two years of middle school. ​This is the standard, 10 user version. English Years 7 - 8 is suitable for students in Intermediate or Middle School.